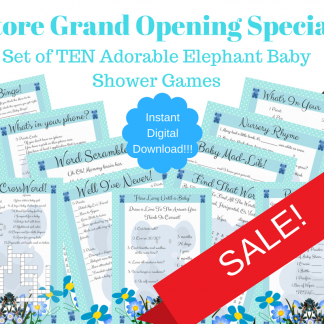 Looking for an adorable Baby Shower Bingo Game? 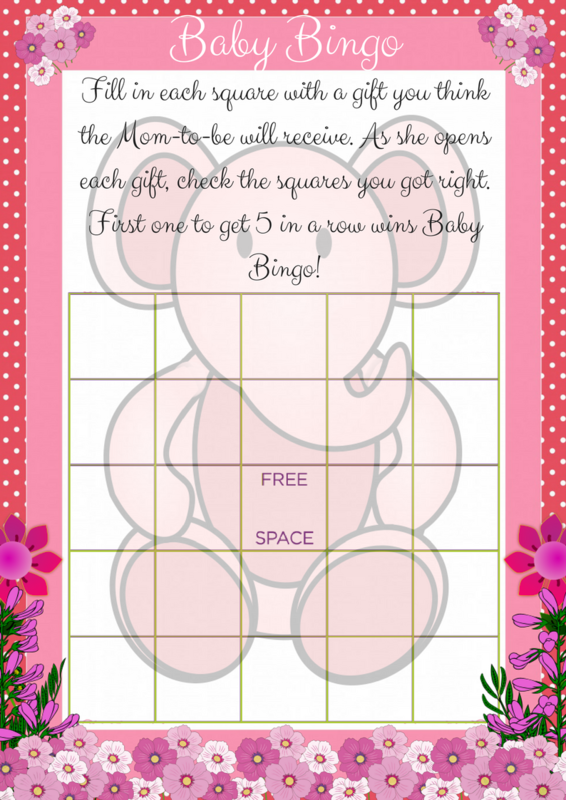 Well, we have designed this super cute printable Bingo game in both a blue and pink version. Simply choose your preferred color, check out, and print! You can print as many of these super fun bingo cards as you want for your guests! Our Bingo game cards are professionally designed, and exclusive to our company. We know that your guests will love them! Looking for an adorable Baby Shower Bingo Game? 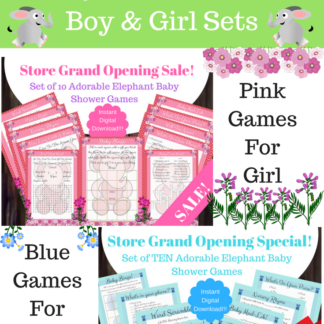 Well, we have designed this super cute printable Bingo game in both a blue and pink version. Simply choose your preferred color, check out, and print! You can print as many of these super fun bingo cards as you want for your guests! Our Bingo game cards are professionally designed, and exclusive to our company. We know that your guests will love them! 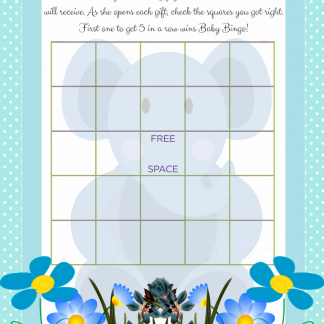 This Elephant Baby Shower Bingo Game Card, comes in a standard A4 print paper size which is 21cm x 29.7cm. It is a high-resolution (300 DPI) Instant Digital Download product, which will come as a non-editable PDF file. You’ll need the latest version of Adobe Reader in order to download the file which you can get for free at www.adobe.com. No JPG, PNG or personalized file formats are available with this product. This product comes as is. Once you complete your purchase, you will be able to access this instant download as soon as you finish check-out. No physical item is being mailed to you. If you have any problems accessing your product, please let us know, and we will manually send you a new PDF file.